Presenting the New and Improved Kiesler Machine Inc. – Kielser Machine Inc.
Kiesler Machine Inc. has given its online avatar a complete overhaul. The website, once known to all as http://www.toolbin.cc/ has now been relaunched as http://www.kieslermachine.com/. The organization’s new website is a testament to the brand, and its continual as well as its quality products and services. What’s New at Kiesler Machine Online? Website Design: The website is designed to provide a quick, easy, and efficient experience to the customer. The left hand side of every page consists of a product table. The table opens into subcategories, allowing the customer to easily find the product of their choice. These allow the user to simply click and immediately go to the page of his choice. Email ID: With the email ID, potential customers can get in touch with us directly. Telephone: If sending an email is too time-consuming, customers can directly speak to a Kiesler executive by calling on the toll-free number. Kiesler Machine prides itself on having the capability of creating custom products for clients. This is another specialty we have highlighted in our new website. 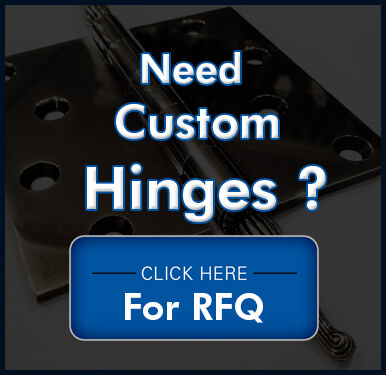 We provide custom components right from heavy duty hinges to sprocket hubs. We have provided an easy method for customers to send us their custom requirements. The shortcut bar consists of a ‘Customize your Design’ section. Click on the same, fill in the details, add the drawings as attachments, mention your delivery date, and we will take care of the rest. Another addition to the website is the Request a Quote (RFQ) option. This is another method with which our customers will have more opportunities to procure custom products from us. The RFQ is designed as a replacement for the shopping cart option on the previous website. The lead-time to procure the product is reduced significantly. No time is wasted in preparing application documents. Also, the time period for submitting quotations is also reduced. RFQ gives us the opportunity to take on high priority projects first, without spending too much time in the selection process. Hence, customers can be assured of on-time product delivery. The RFQ option also provides clarity to customers. They can be given a clear idea as to the design and manufacturing process. They will also know of the amount of time it will take to respond to a quotation. They can be assured of the product being delivered within a certain period of time. 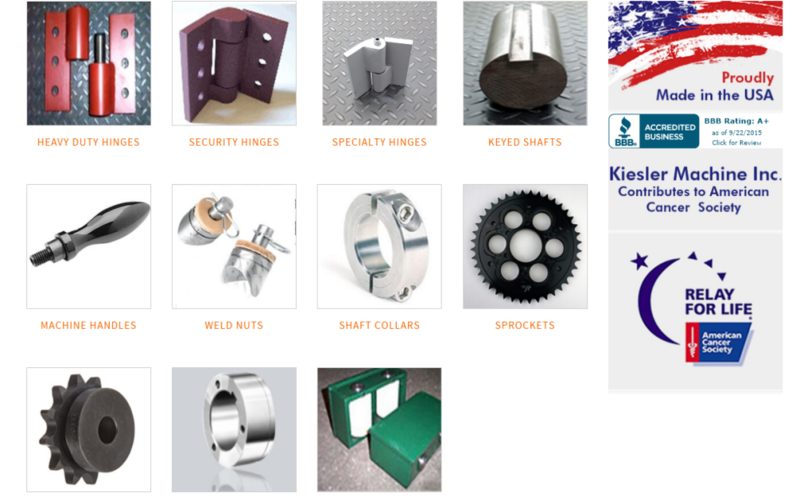 Kiesler Machine is here to take care of all your industrial products, from hinges, shafts, collars, sprockets and many more. Visit http://www.kieslermachine.com/ today, and get the Kiesler Advantage.